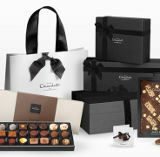 With next day or same day delivery available or free click & collect from a local Hotel Chocolat UK store. Founded by Angus Thirlwell and Peter Harris Hotel Chocolat is a British chocolatier established for over 20 Years, its first retail store opened in 2004. Hotel Chocolat actually grows its own cocoa used in the chocolate making process, guaranteeing the fine quality of their products. Hotel Chocolat is one of the very best chocolatiers in the UK. The company have a unique advantage over other chocolate retailers, they offer chocolate products made specifically from cocoa grown exclusively on their own plantations. Hotel Chocolat began life as a small company known as Geneva Chocolates and was founded by Peter Harris. Co-founders decided to develop the company towards the catalog market during this time the name changed and the company became known as Chocolate Express. Soon Chocolate Express turned their attention to the buoyant UK market; they wanted to make their delicious and exclusive chocolates available to the British public. They began their introduction to the UK market with the Chocolate Tasting Club in 1998. This proved to be a huge success with over 100,000 members currently enrolled. They receive a box of new chocolates to test, these include recipes that are not yet available to the public. On offer within the stores and online are their famous Slabs of chocolate. Selection boxes and Selectors (small slabs of flavoured chocolate. You will also find liquid chocolate and a Purist selection of chocolate for those who want to explore the world of chocolate to its most rare and sought after cocoas. With the success of the Chocolate Tasting Club, Chocolate Express moved one step further and launched their first retail store in Watford. At the time the company also rebranded the business, becoming Hotel Chocolat as we know it today. Hotel Chocolat has gone from strength to strength in the UK. They currently have over 50 stores throughout the UK and see a healthy profit each year. In 2006 the company bought the Rabot Estate in St Lucia. Hotel Chocolat grows their cocoa from the Rabot Estate as well as the Hotel which was opened in 2011. 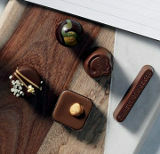 Before you purchase delicious chocolate gifts from Hotel Chocolate consider using one of our teams’ free delivery codes or money off voucher codes for use on the hotelchocolat.com online store. You can find all the current promotions above this article that can be used right now on purchases. All expired or unreliable codes are listed below, you may want to give them a try as they may still occasionally work. Standard delivery starts at just £3.95 for 1 item that will be delivered within 3 to 5 working days if ordered by 18.00. 2 or more items will be charged at around £4.95. Click and collect orders are delivered to store free of charge for collection at a convenient time. See the hotelchocolate.co.uk website for full shipping information for Europe and the rest of the world. Hotel Chocolat offer a no excuses guarantee, so you can contact them if you are not 100% happy with your order. Damaged orders will be refunded or replaced as necessary.